Malaysian Airlines Flight 370 was carrying 227 passengers from 15 nations and 12 crew members when it disappeared from radar in March 2014. Since then, numerous oceanographers have conducted research into its whereabouts. They include Dr Jonathan Durgadoo, Pierre Daniel and the National Oceanographic and Atmospheric Administration’s (NOAA) Joaquin Trinanes. Mike Chillit, who has been closely following investigations into the missing aircraft, has used “mathematical analysis” to corroborate their findings. He told Express.co.uk: “The plane’s location is known. “It has been known since early 2016 when three international studies concluded the flaperon that washed up on Reunion Island originated on ‘The Seventh Arc’ somewhere between Batavia Seamount and Zenith Plateau, approximately 1,300 kilometres off the Western Australian coast. “Aviation Investigation is an evidence-based discipline. “The loss of 239 lives and respect for the families of those onboard underscores the importance of the diagnostic work done by Germany, France and USA’s NOAA. The studies upon which Mr Chillit based his work used complex particle models to conduct analyses of the plane’s projected location. The MH370 follower then developed elaborate mathematics to ascertain the validity of the research and showed his findings on a map. Explaining the Google Maps graphic, he said: “The red pin is the endpoint on the southwest face of Zenith Plateau. “It is a slope that descends to a canyon of at least 5,000 meters. “The green pins are where Australia's Ocean shield searched in April 2014. “The white squiggly area is where Ocean Infinity gave up this past June. They were very close to the wreckage. “The two ellipses are artefacts of the wobble Inmarsat's 3-F1 satellite. “The separation between the ellipses at the crash point is 44 km. 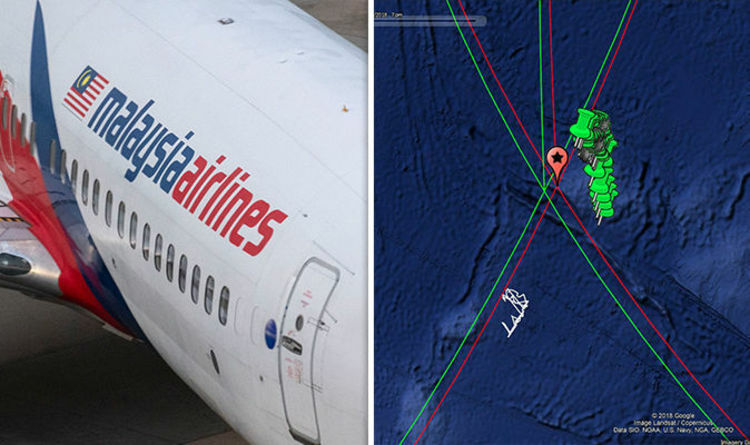 Referring to the detail of his findings, Mr Chillit said: “Mathematically, the axis has to pass from the satellite's location when the plane departed to the plane's departure GPS at Kuala Lumpur. “It thereby ensures that the endpoint will accurately measure the length of the 'Seventh Arc' travelled by the plane.